Tesla spent less than $1 billion in the second quarter of 2017. To mitigate a more negative cash flow, the electric-car maker sold ZEV credits. David Einhorn, however, is still skeptical of Tesla’s future as there is only enough capital to spend for the next three quarters. If Tesla’s Model 3 production will proceed on schedule, investors believe the name will have a positive cash flow in 2018. Tesla Inc (NASDAQ:TSLA) released this week its earning report for the second quarter of 2017. The electric vehicle (EV) company spent “only” less than $1 billion cash within three months. For comparison, first quarter spending is at $600 million, according to CEO Elon Musk and CFO Deepak Ahuja. The second quarter was predicted beforehand to be rougher than the previous quarter due to the planned start of Model 3 production (which was unveiled in July), coupled with the dwindling sales of Tesla’s older Model S sedan as consumers anticipate the arrival of Model 3. Wall Street, however, seems satisfied that Tesla’s second-quarter loss is smaller than expected – adjusted EPS loss came in at $1.33 vs forecasts for $1.82 ; revenue $2.79 billion vs $2.51 billion expected – and that the company performed better as a whole. Since its initital public offering in 2010, the company has $10 billion total capital from investors and loans at its disposal. By end of the second quarter, it has already spent $7 billion, leaving the remaining cash at hand at $3 billion. To mitigate a more negative cash flow, Tesla sold ZEV (zero emission vehicle) credits in the second quarter to make $100 million. The ZEV program, present in California and nine other US states, requires car manufacturers to make environment-friendly ZEVs in proportion to their total sales. Companies can either build ZEVs to get ZEV credits or buy credits from other companies who sold more ZEVs above the requirement. Zero emission vehicles don’t have equal zero-emission quality and individual cars are rated from a low 1 to a high 4. Not many car companies make ZEVs and, in order to comply with the ZEV program, they can buy credits. Tesla’s Model S has a high 3.3 rating and, since Tesla is purely in the business of making electric cars, it has lots of surplus credits available for selling. While TSLA’s earnings report is marked as good, many skeptics are not so fond or optimistic of the ticker’s future. Before Q2 figures were released, many in Wall Street had negative insights and one of them is David Einhorn, president of Greenlight Capital investment firm and a billionaire. Einhorn says production of Model 3 will exhaust all of the company’s available cash within the next three quarters. Tesla’s stock, however, is performing well right now – up more than 21 points at $347 a share. Year-to-date ticker has gained more 51% – and this causes negative effects on the portfolio performance of Einhorn’s firm. Still, Einhorn seem determined to continue “shorting” (or bet against) Tesla as he believes the stock is over-valued. It should be noted that Greenlight has also lost money by “shorting” names like e-commerce giant Amazon.com (NASDAQ:AMZN) and Athenahealth. Inc (NASDAQ:ATHN). Tesla’s investors believe that spending is crucial for the company’s future in order to fund its projects. Because of its tricky financial setup that is based on debts and ambitions, investors are hoping that Model 3 won’t suffer the delays experienced by previous Tesla vehicles. Model 3 production is scheduled to go full-scale before the year ends. If production will go on smoothly, there is general confidence that Tesla will finally achieve a positive cash flow next year. Initial reviews of Model 3 are good and the company has already received more than 400,000 pre-orders. 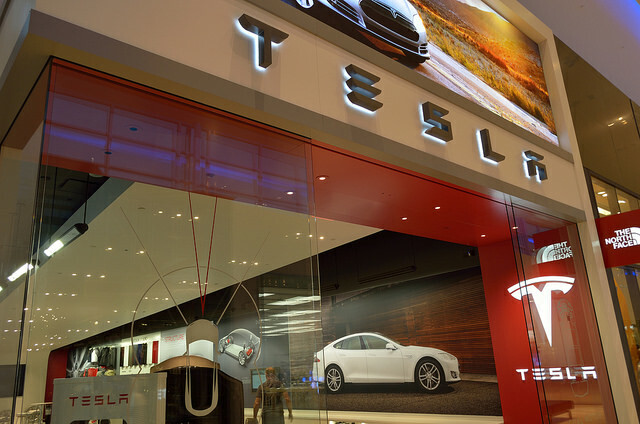 TSLA Stock: Will Tesla’s Aggressive Expansion Pay-off?